You would only really consider buying the Xda Guide if sat nav is really important to you as part of your smart phone, but not so important that you really need a dedicated sat nav device. But if you're a regular, rather than a habitual user, and want all the other goodies that come with a top-notch Windows smart phone, then look no further. 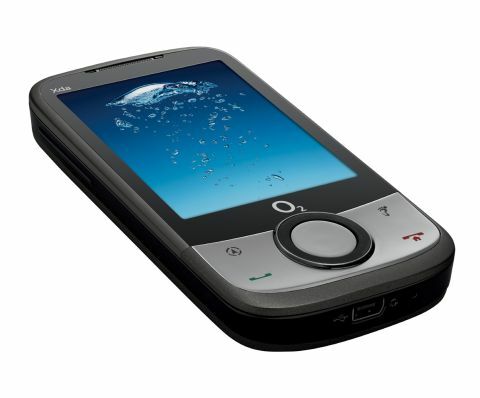 O2 is making a strong attempt to be all things to all people with its increasingly diverse range of Xda smart phones. The latest is the O2 Xda Guide and it places the emphasis firmly on sat nav and location-based services, thanks not just to it's built-in A-GPS transmitter, but also the CoPilot Live 7 sat nav software which comes with it. As with the rest of the Xda series, the Xda Guide is actually made by Taiwanese manufacturer HTC, which produces very similar devices under its own Touch brand, the nearest match to this handset being the HTC Touch Cruise. They are in fact more or less identical, but you'll only get CoPilot Live 7 with the O2 model. Also on board are a 3.2 megapixel camera, Wi-Fi, stereo Bluetooth, Opera web browser and HTC's attractive TouchFLO interface, which brightens up the versatile but awkward Windows Mobile 6.1 operating system that lies beneath it. It's classy in an understated business style, with sturdy dark grey plastic, rimmed with a chrome metallic band around the sides. The sides are pretty Spartan, with just an elongated volume rocker, USB 2.0 power/headphone slot, reset hole, stylus slot and a power button to break them up. Around the back is a lens for the 3.2 megapixel camera and a loudspeaker. The D-pad deserves special mention because it not only has the usual five-point push button action, but also a circle around it which spins, allowing you to zoom in on pictures or web pages, fast forward video and scroll through menus.